THE INDEPENDENT PRISONS’ inspector is set to carry out an investigation into the alleged use of surveillance devices on vehicles belonging to Irish prison officers. 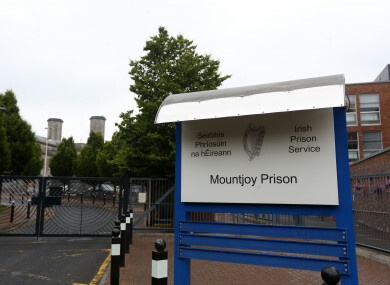 The alleged surveillance was carried out as part of an operation by the Irish Prison Service, which aimed to prevent drugs and mobile phones being sneaked into Irish prisons. Minister for Justice Charlie Flanagan will meet with the Acting Director of the Irish Prison Service, Don Culliton today over revelations published in the Irish Examiner. According to the report, a serving prison officer has alleged that tracking devices have been placed on prison officers’ cars and that conversations between solicitors and prisoners have been recorded during covert surveillance operations in Irish prisons. Details of the allegations were disclosed in a court affidavit which concerns a proposal by the Irish Prison Service to temporarily transfer one of its prison officers. The document also claims that a private investigator was hired to carry out the surveillance without obtaining legal permits and permissions. It alleged that both prison officers and prisoners suspected of smuggling were targeted. In a statement this afternoon, Minister Flanagan confirmed that an investigation under the Prisons Act 2007 would now take place. He said the investigation would allow the Department to consider whether further steps, such as a formal inquiry, needed to be taken. “I am aware of allegations made in today’s Irish Examiner concerning surveillance in prisons,” he said. “While I am constrained in what I can say about proceedings before the courts, and nothing I say should be taken as a comment on these particular proceedings, these allegations raise serious issues which need to be addressed. The Minister added that while surveillance was necessary to prevent the trafficking of substances into prisons, it must be done in accordance with the law. Comments have been closed as the piece concerns ongoing legal proceedings. Email “Alleged use of tracking devices on cars of Irish prison officers to be probed by Inspector of Prisons”. Feedback on “Alleged use of tracking devices on cars of Irish prison officers to be probed by Inspector of Prisons”.